Word for Today: Spiritual Agreement is Vital. Word for Today:Spiritual Agreement is Vital. 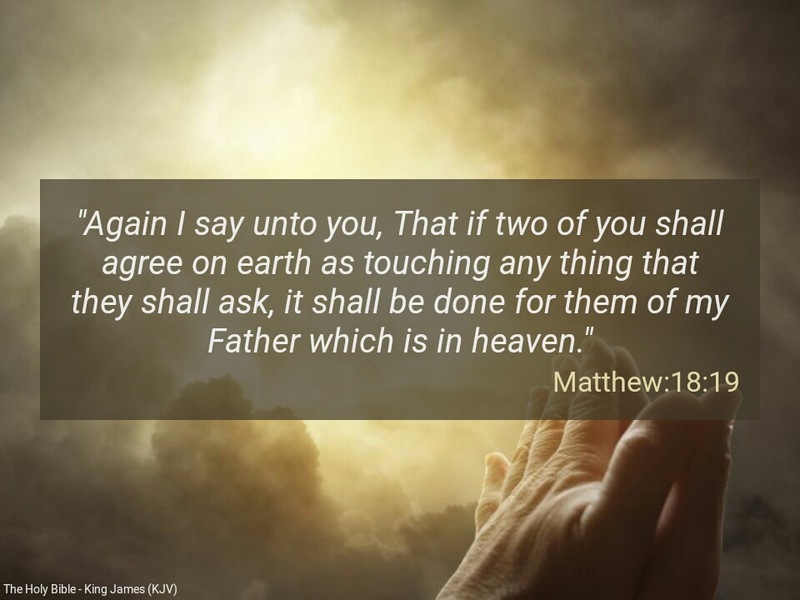 “Again I say unto you, That if two of you shall agree on earth as touching any thing that they shall ask, it shall be done for them of my Father which is in heaven” ( Matthew 18:19). Aside from spiritual ignorance, one of the biggest problems in the body of Christ today, is the lack of spiritual agreement. Have you ever wondered why there is often suspicion and scheming between the general overseer and the assistant general overseer, the pastor and the assistant pastor etc? Money is at the root of most disagreements. “And the LORD said, Behold, the people is one, and they have all one language; and this they begin to do: and now nothing will be restrained from them, which they have imagined to do” (Genesis 11:6). We pray that the love of our Lord Jesus Christ will be revealed in the church. We pray for perfect agreement and unity in the body of Christ . There is power and glory in agreement and unity . I love my Jesus and Jesus loves me. No circumstances can change my decision. Father, please give us the grace to truly fall in love with you; let there be agreement and unity in your church; give us the grace to promote you every we go in Jesus mighty name. Amen. Previous Previous post: Word for Today: My prayer is for every child of God to become a son of God.